??? 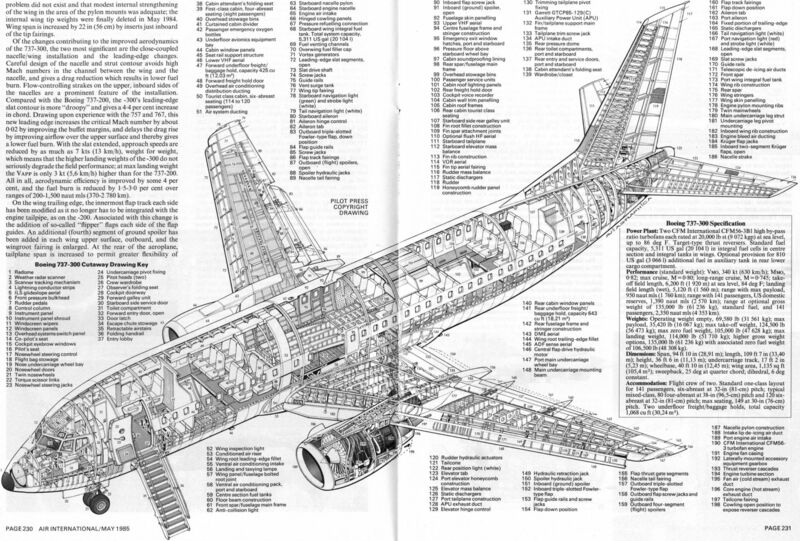 - Latin America's Largest Air Arm ... 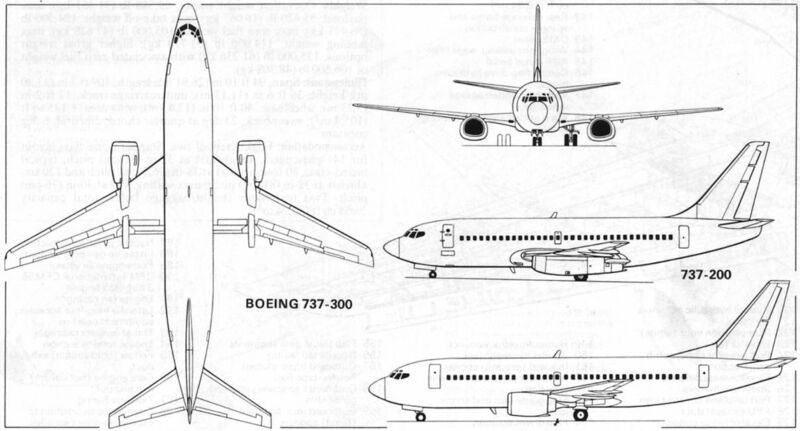 Emphasis placed on equipment "Brazilianization"
The three 737-300s used for the flight test and demonstration programme - all destined eventually to be delivered to US Air. 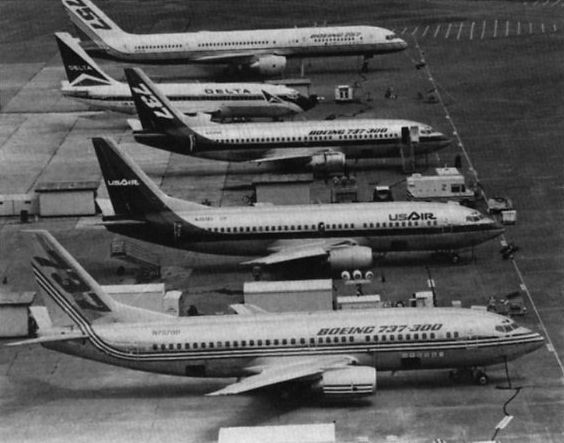 A Delta 737-200 and the Boeing-owned 757 provide scale in the background. 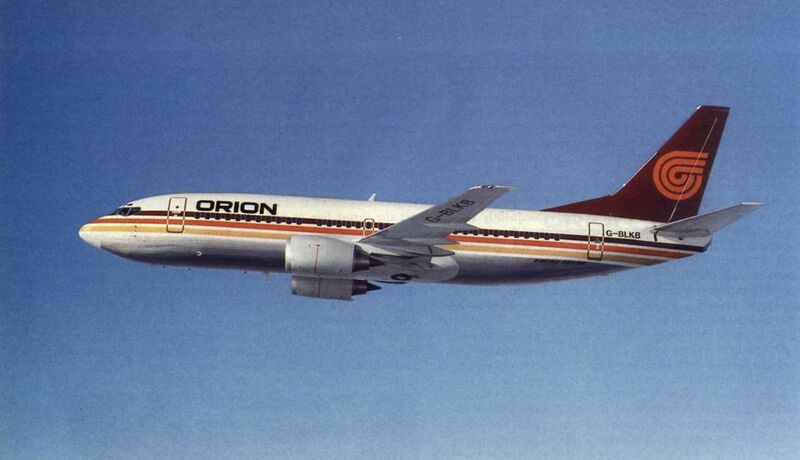 Orion Airways look delivery of its first 737-300 at the end of January 1985 and has five on order. 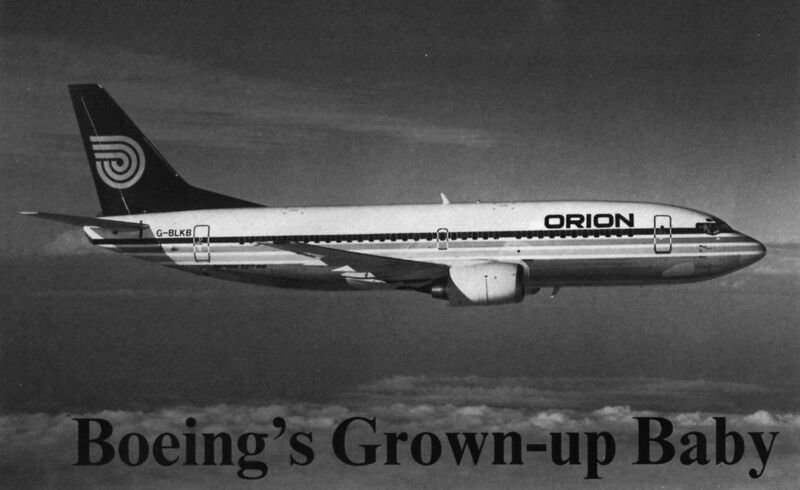 Promoted by Orion as the 737SQ (for Super Quiet), they are operated in 144-seat one-class configuration. 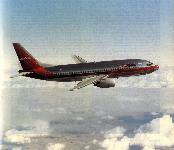 Southwest Airlines was one of the two launch customers for the 737-300 and has to date ordered 31 with 14 more on option. 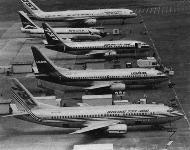 It was the first to put the type into revenue service, on 7 December 1984. 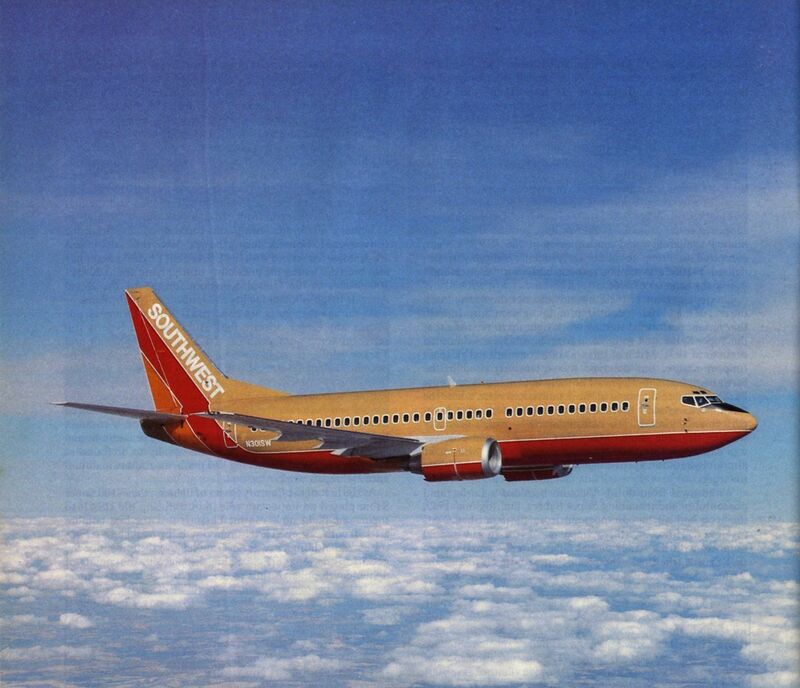 Sharing launch honours with Southwest, US Air has ordered 30 737-300s with 10 more on option, and inaugurated revenue service on 18 December 1985. 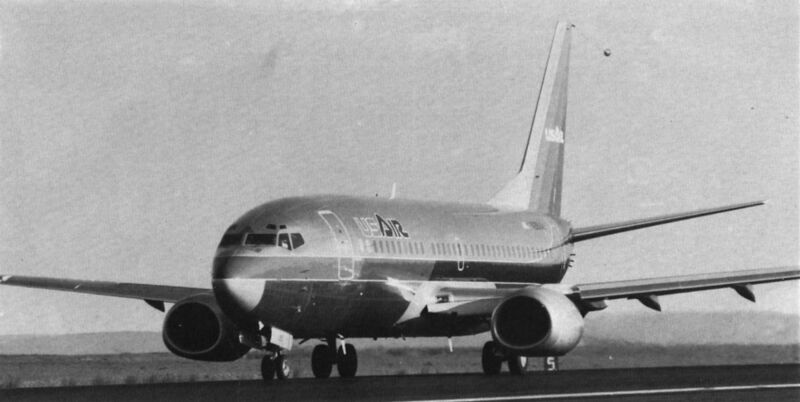 The No 2 test aircraft, making a high-speed taxi run, clearly reveals the unusual engine nacelle shape. 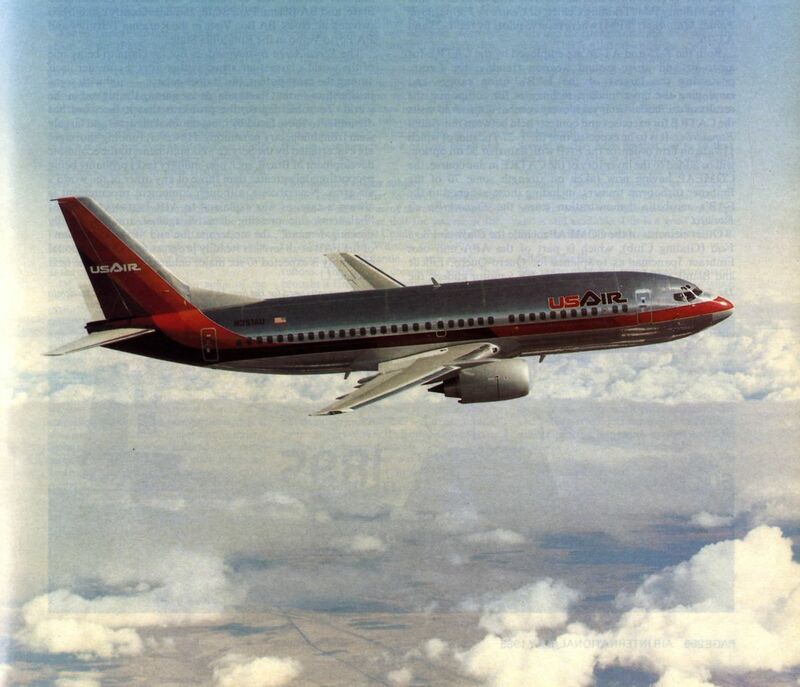 AirCal, which has ordered nine 737-300s on ils own account, is also leasing three from International Lease Finance Corporation; taking delivery of the latter in February, AirCal became the third US airline to operate the new type. 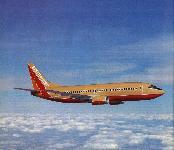 The first Boeing 737-300 in Europe is now entering service with the British IT operator Orion Airways. 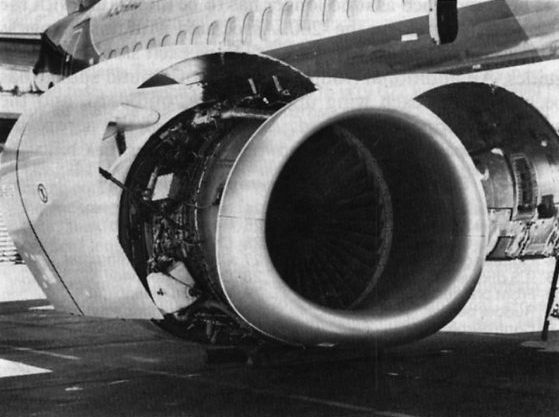 A close-up of the CFM56-3 installation in the 737-300, showing the accessibility of the engine through the hinged cowlings. 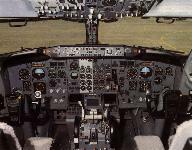 The flight deck of the 737-300. which has a fully-integrated flight management system (FMS) linking the digital processors that control navigation, guidance and engine thrust. 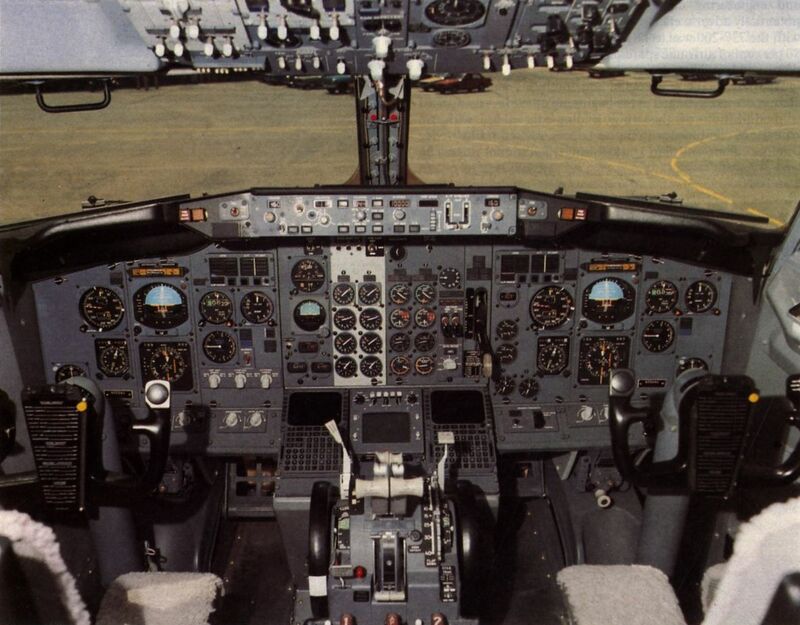 Access to the master flight management computer of the FMS is gained through the control display units on the centre pedestal, separated by the weather radar screen.